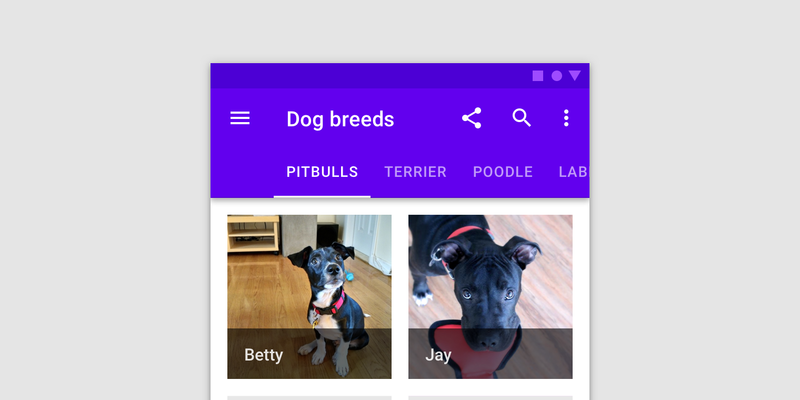 I'm creating a mobile application, sticking to Material Design guidelines and components for the most part. In that application I want the user to select a group and then get some detailed info on that group. The group info is displayed below the selector component so you can do a selection any time. The groups are numbered consecutively. So my thoughts circled around something that looks like an MD seekbar, but without the "progress" part to the left of the handle. And still I'm not satisfied, I feel like this is an entirely different component that has a different meaning. But at least it should work well on a small screen, as it is easy to drag the handle around. What option should I choose? Am I even on the right track with this and are these final options appropriate? If you are looking to stick with a Material component, perhaps using a simple card layout would be appropriate? 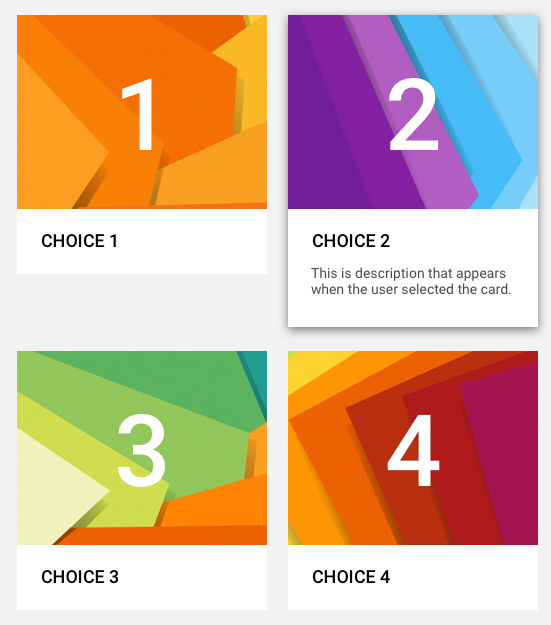 Because your values are not that long, you would be able to use some generic material backgrounds for the card image to help distinguish the choices for your user. Once selected, the card would expand to reveal the description below. This is not the most compact choice but if you are against using the "menu" or drop down for your selector, that makes things trickier as scenarios such as yours are what it is designed for. Using a card displays all the options for the user rather than hiding them but it does take up more screen space. You should consider how much value this choice places on the rest of the interactions in the app. What about using Tabs? As tabs can horizontally scroll, a UI can have as many tabs as needed. To make the targets a bit bigger, write out the numbers as text: ONE, TWO etc. Not the answer you're looking for? Browse other questions tagged mobile-application selection drop-down-list or ask your own question.